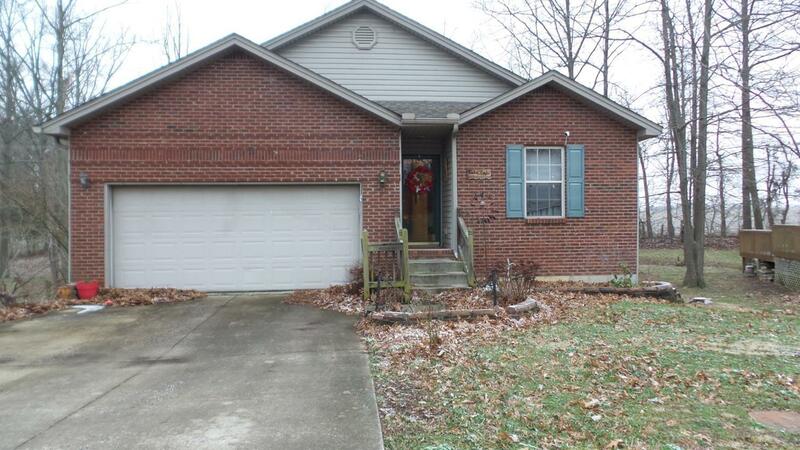 268 Briarpatch Lane Frankfort, KY. | MLS# 1900915 | Welcome to Century 21 Simpson & Associates. We've been actively involved with the buying and selling of homes in Central Kentucky and adjacent areas for over 30 years. We have offices in Frankfort and Lexington. How can we help you? Nice home with Full Basement - 3 Bedrooms, 2 Baths, 2 Car garage with handicapped ramp to kitchen, kitchen appliances 2-3 years old. 2 Walk in Closets. PROPERTY BEING SOLD AS IS. Shingles approx 3 years old. Master Bathroom renovated for handicapped accessible. Wooded lot with chain link fencing in backyard, storage building, deck and patio.